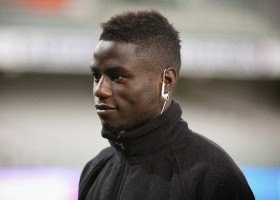 Reports are out claiming that Auxerre forward Paul-Georges Ntep is attracting big Premier League interest. The Daily Mail reported that Arsenal, Tottenham, Manchester United and Manchester City are all keen on Ntep. The 21-year-old was the subject of interest from Hull City in the summer but his performances for France Under 21s have alerted the bigger clubs who are all keen to take a closer look.